If you are searching for Christmas present ideas, you might like to consider show tickets. 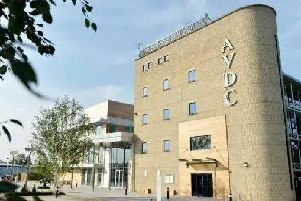 A trip to the theatre is always a treat, and the new spring season has just been announced for Milton Keynes Theatre. The programme is filled with something for everyone, with massive musical extravaganzas, top stars, scrumptious dancing, drama, opera, ballet and not forgetting the children. January sees Matthew Bourne’s dazzling production of Sleeping Beauty with its sumptuous sets and costumes, evocative lighting and masterly storytelling in a world full of magic, fairies, vampires, love and romance. The ballet is at the theatre from January 26 - 30. First up in February is dancing of a different kind, with Jason Donovan starring in the outrageous, colourful and feel good international hit sensation, Priscilla, Queen of the Desert. With mega hits throughout the show and costumes that would put any panto dame to shame, the musical tells the story of three friends who hop aboard a battered old bus to search for love nad freindship. Priscialla is at the theatre from February 1 - 6. Next up is something for the children, with the world premiere theatre tour of David Walliam’s best selling story for children, Gangsta Granny. Brought to the stage by the acclaimed producers of Horrible Histories, the show arrives slap bang in the February half term week, February 9 - 13. Later in the month comes something for adults. Back by phenomenal demand, multi award winning acknowledged master of psychological illusion, Derren Brown returns to Milton Keynes from February 15 - 20. And the very next day, Anton and Erin from Strictly Come Dancing transform the stage into a dazzling ballroom with Gotta Dance on February 21. More spectacular shows to look forwad to in the spring include dramas An Inspector Calls (February 23 - 27), Goodnight Mister Tom (March 1 - 5) and Hobson’s Choice (March 7 - 12). Then comes the story of nightclub singer Roxie Hart in musical Chicago from March 14 - 19. April sees more massive musicals with big, bold Hairspray (April 4 - 9)and The Bodyguard starring Alexandra Burke as Rachel Marron (April 12 - 23), followed by the Northern Ballet production of Swan Lake (April 26 - 30) and Tortoise and The Hare on April 29. For full details of all shows, and to book tickets, go to www.atgtickets.com/miltonkeynes or call the box office on 0844 871 7652.